We aim to cook delicious food made using the finest locally sourced ingredients that Yorkshire has to offer. From wonderful fresh fish, local game, lovely vegetables from our kitchen garden and treats from Malton&apos;s many artisan food producers. Really we&apos;re a restaurant with 26 cosy rooms and food at the heart of everything we do. 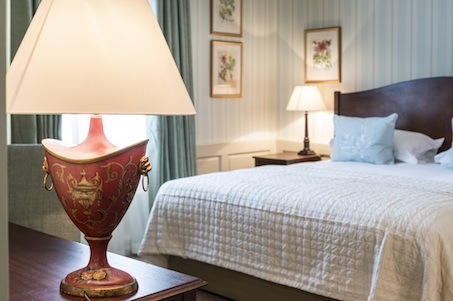 Each of our rooms has an en suite bathroom with luxury 100acres toiletries, and views over the town or gardens with free Wi-Fi internet throughout. Close to the North York Moors and stunning coastline, The Talbot is relaxed and rustic. 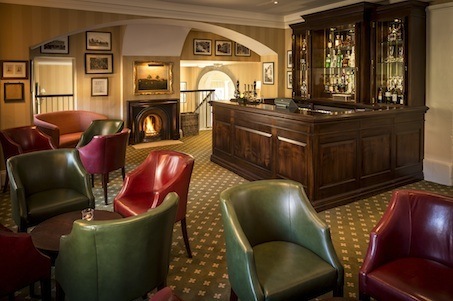 expect a warm Yorkshire welcome with roaring fires & lots of cosy corners. The Talbot is a lovely location to hold a conference or a meeting. 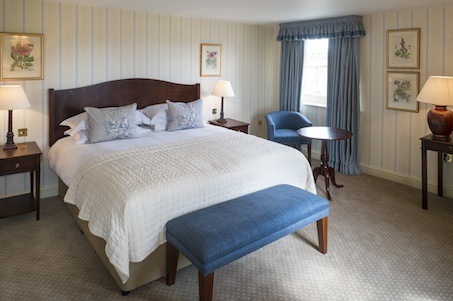 The Wentworth Room is perfect with the capacity of up to 92 people it will suit many different needs. There are five different conference options for you, depending on your requirements and budget. The Talbot Hotel has a civil ceremony license and offers a wonderful setting for marriage services and wedding breakfasts. There is a beautiful private room that is perfect for up to 40 wedding guests, and a marquee for up to 250. There are a choice of wedding packages, so something to suit everyone. Join us for a full days cooking the very best of Yorkshire Produce be it Game, Seafood or classic country cooking we have a host of courses throughout the calendar. £395 Dinner bed and breakfast for 2 guests including 2 places on one of our full day cooking classes. Please see the www.maltoncookeryschool.co.uk for dates of courses. From the South: Leave the A1M at junction 45. Take the A64 East past York until the Malton exit. As you enter Malton you will see the Talbot on the right-hand side. From the North: Leave the A1M at junction 47. Take the A59 towards York. Take the A1237 that bypasses York to the North until joining the A64. Take the Malton exit. As you enter Malton you will see the Talbot Hotel on the right-hand side. By rail: Malton railway station is 300 metres from the Talbot Hotel. There are direct trains from Manchester and York railway stations. Closest airports Leeds Bradford, 48 miles. Humberside, 66 miles. 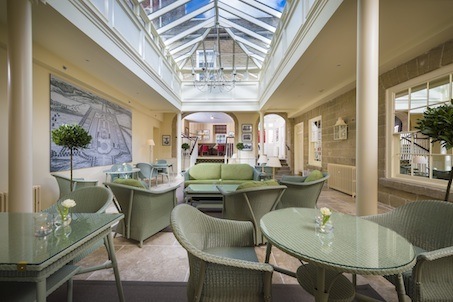 Send an e-mail to The Talbot Hotel - Luxury Boutique Hotels in Yorkshire by filling in the form below. All fields are required.